The Vegan Mouse: Wacky Cake. 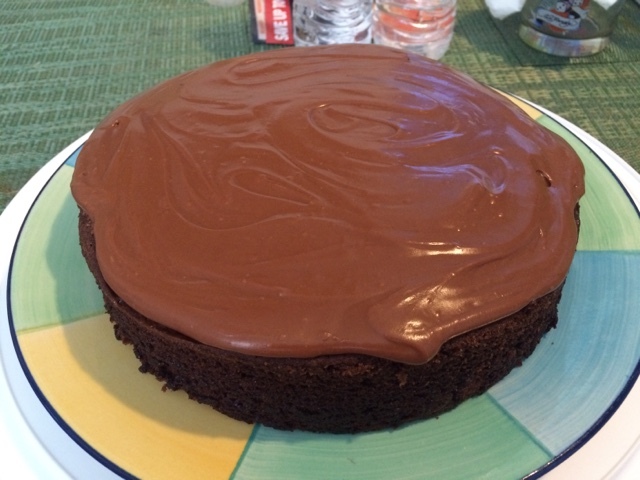 If you google "wacky cake" you will find a depression era recipe for chocolate cake that uses no eggs, but instead vinegar and baking soda to make the cake rise. A lot of vegans swear by this recipe. It makes a delicious and tender cake. The frosting recipe is just margarine, cocoa powder, powdered sugar, vanilla and soymilk whipped together. That looks delicious, especially the frosting which is always my favorite part!